Part II of our major feature on Oregon. Link to part I at bottom of page. A few people I’d spoken to before my trip had pin-pointed Bergström as one of the best estates of the Willamette, but commented that their Pinots were rather big, dense wines. I have to say that was not the case on the evidence of my tastings, though perhaps the wine style has changed. 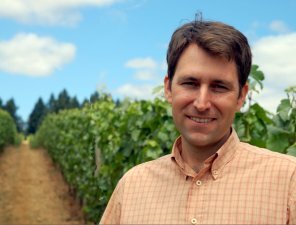 Certainly, Josh Bergström told me “Oregon is about focused, fresh fruit flavours – not into plums and raisins.” Some of Josh’s vines are 45 years old, and he also buys fruit from long term-growers, with Josh managing the vineyards. He is gradually persuading the owners to switch to organic if not Biodynamic farming. Range tasting for a fee of $25, by appointment only. Tel: 503 554 0468. Not far from Bergström sits the low-key Beaux Frères, a relatively small estate possibly most famous because it is a partnership between winemaker Mike Etzel and his brother-in-law, American wine writer Robert Parker. Don’t blink or you’ll miss the entrance, and visits are strictly by appointment to a bustling working winery where Mike farms biodynamically and has plenty of strong opinions. 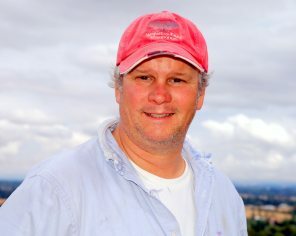 He persists with a block of Grenache, despite the difficulties in ripening this variety in the relative cool of the Willamette, and says that Parker’s name is “both a blessing and a curse when it comes to selling the wines,” but certainly there’s no shortage of buyers for their very Burgundian, hand-crafted Pinot Noirs. I really enjoyed my visit to Lemelson, where winemaker Anthony King (right) and I shared a sandwich lunch before touring the winery and tasting through their range. Anthony began his career in a slightly unorthodox way, planting Rhône varietals in central Texas. 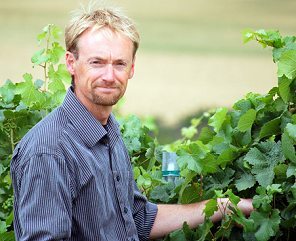 A decision to make winemaking his career saw him gain a Masters degree in oenology and viticulture from University of California Davis, where his research focused on the effects of vineyard and winery practices on Pinot Noir color and tannin. 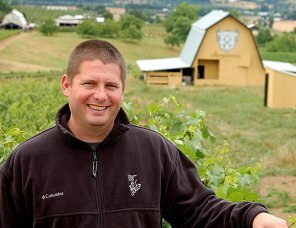 After making wines at Acacia Vineyards in Carneros, he moved to Lemelson to take over from the departing Paul Pujol, who’d started his career with Kuentz Bas in Alsace. 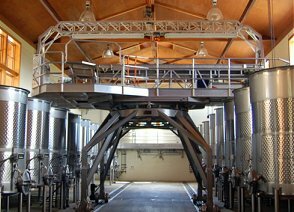 The fascinating winery works entirely by gravity flow, aided by this one-of-a-kind, mobile stainless steel sorting platform which sits on four massive steel legs and moves along the winery on a track. Sorting tables on top allow Anthony to select only the ripest clusters to fill each stainless steel fermenter. Steel ‘wine lines’ allow wine to fall from here and run throughout the building, minimising the need for plastic hoses. Only French oak barrels are used here, and the environmentally sustainable building is constructed from certified local lumber with all floors made from Oregon white oak harvested on the winery property. 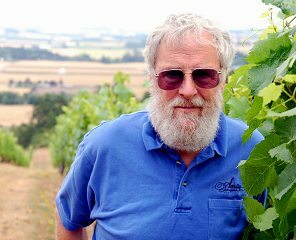 One of the great characters and originators of the modern-day Oregon wine scene is Myron Redford. We’d met a few days before my visit to his Yamhill winery when we had dinner with other Willamette ‘founders’, and drank some fantastic Pinot of his from the 1970s. Myron purchased the property in 1974, and in his time has been the first person to make an organic wine in Oregon, the first to make a sulphite-free wine, and his determination to make natural wines even led to him stop using new oak in 1988. 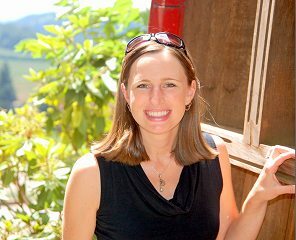 However he tells me that his assistant winemaker Darcy Pendergrass asked permission to buy some new barrels when she took over day-to-day winemaking in 2005, so now there’s a tiny percentage of new oak for her to play with. It was a huge pleasure to spend an afternoon wandering the vineyards with Myron, who has an encyclopaedic knowledge of the Willamette. His ramshackle winery is enormously popular with tourists, and you will often find Myron behind the tasting bar enthusing about his 35-year-old passion. Amity’s reputation has had its ups and downs over the years, but there are some really good wines here. A living slice of Oregon wine history. Driving between the towns of Newberg and Dundee means you will pass by The Four Graces, a welcoming and easily accessible winery just off of highway 99W that is open daily and has a picnic area with an open fire in the winter months. I met up with Anthony Van Nice (right) who is in charge of winemaking and vineyard management, and who explained the winery was named after the four daughters of owners Steve and Paula Black. We took a drive up to the highest point in their Dundee Hills vineyard, to see the basaltic iron-rich Jory soils supporting Pinot Noir from older Pommard, and more recent Dijon clones, and Pinot Gris and Blanc using clonal material from Alsace. A second 40-acre vineyard in the Yamhill area is planted to Pinot Noir, half of it farmed biodynamically. Anthony is enthusiastic about the sometimes marginal climate in Oregon, describing it as “genuine terroir-driven grape growing on the edge of viability.” He says that makes it exciting, and draws an analogy with weather forecasting: “who’s got the most interesting job, the weatherman in Arizona, or the weatherman in Oregon?”. He uses only French oak for his wines, mostly from Burgundian tonnelier François Frères, and says Oregon could be seen as in the stylistic centre between California and Burgundy. 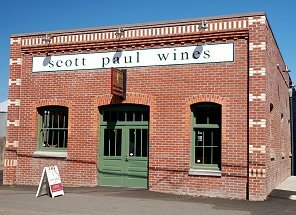 Another fairly unusual operation is Scott Paul Wines. Owner Scott Wright imports from 15 Burgundy estates and is a self-confessed “Burgundy fanatic,” who spends several weeks there every year. He says he is “Trying to make people comfortable with Burgundy,” through sales, tastings and educational programmes in his facility in the centre of the town of Carlton. 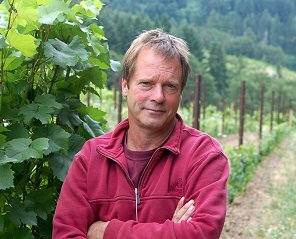 As far as his own Oregon wines go, it is a boutique operation focused on Pinot Noir and producing just 4,000 – 5,000 cases annually. 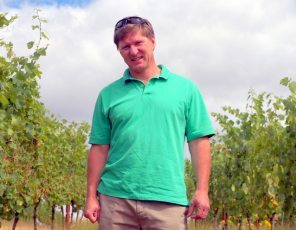 Scott Paul Wines started in 1999, but the first two vintages were made in California before Oregon’s cool climate and Pinot reputation pulled them north. Scott says the house style is to tone back on oak and extraction, and aim for a much fresher style of wine that compliments modern styles of food. Three cuvées are produced. Steve Doerner, winemaker at Cristom, took me for a walk – more of a hike really – up to the top of the steep Jessie vineyard, for panoramic views over the valley and to the snow-capped Mount Jefferson. The Cristom story began in 1991, when owner Paul Gerrie visited the International Pinot Celebration in Oregon. He decided the time was right to leave the East Coast, and re-established his family in Oregon to pursue a winemaking dream. Eight vineyard sites are spread around the Eola Hills in the southern part of the Willamette, all dry farmed. One block is planted with Syrah which, in a renowned Pinot Noir region, must be regarded as somewhat ambitious. Yet Steve is pleased with the results so far. I’d guess that Firesteed is one of the better-known names of Oregon wine in the UK, as their moderately-priced Pinot Noir has been on the shelves of some major UK retailers for many years and is widely available through independent merchants. In that time Firesteed has become known as a ‘Virtual Winery’, as in fact it was a négociant operation that bought-in fruit and made wine in rented space in other wineries. The acquisition of Flynn Vineyards in 2003 brought with it premises, where I met winemaker Bryan Croft (right) at the company’s non-nonsense facility in the Eola Hills. We tasted widely from barrel then settled down for a more formal range tasting on the deck in front of the winery. Sadly, an unexpected cloudburst sent us scrambling to scoop up bottles, glasses and my laptop, and somehow the bulk of my notes were lost in the mêlée. Reviews of a couple of wines survived, but hopefully I can catch up with Firesteed’s wines again some time soon. Also in the Eola Hills, Witness Tree takes its name from an ancient, gnarled oak that bears a Witness Mark. The surveyors who marked out Land Claims in the Oregon Trail era sought natural landmarks such as trees on which to mark their boundaries. In 1854, the Witness Tree marked the Northwest corner of Land Claim No. 51, and stands to this day high on the vineyard slope. I took a bumpy ride on a small tractor up to the tree with winemaker and vineyard manager Steve Westby (right). It also let us see new plantings way up on the ridge at slightly over 600 feet. This estate operation uses only its own fruit, and Pinot Noir is the main focus with some Chardonnay, Pinot Blanc and Viognier too making dry and dessert wines. Perhaps the greatest endorsement of Oregon’s Pinot credentials has been the interest shown in the area by some of Burgundy’s biggest names. Joseph Drouhin of course, but Dominique Lafon has set up shop recently too, and will be making 5,000 cases of Pinot under the Evening Land label. Home grown investors are also keen to cash in on the burgeoning fame – and prices – of Oregon Pinot. In the south of the Willamette Valley the Olsen family operate a large grass seed business. But tracts of their grass land are now being converted to grape growing. 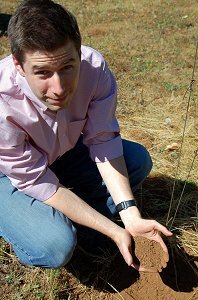 Certain hillsides have been identified as having excellent Willakenzie and Jury’s Soils. Vineyard manager Dean Underwood (right) took me to a vast site called Mulkey Hill where planting is in process. There are also plans to build a winery, hotel, restaurant and golf course in a hugely ambitious investment that could make Olsen Family Vineyards the biggest player in Oregon with 150,000 cases annually. To be perfectly honest, their first releases – 2006 vintage wines from blended estate and purchased fruit – are underwhelming, but these are low-priced wines for Oregon at around $15. A name that’s worth watching. My extensive tour of the Willamette ended at Willamette Valley Vineyards, one of the biggest names of the area having been established in 1983. I’d had dinner with founder Jim Bernau a few days before, but was delighted to meet up with national Sales Director Cara Pepper Day for a tasting at their large facility with excellent visitor facilities just south of the town of Salem. There are 50 acres of Pinot Noir, Chardonnay and Pinot Gris here, which are certified organic. The Tualatin vineyard, established in 1973, is one of the oldest in the Willamette and is certified as being farmed using sustainable practices. As well as Pinot and Chardonnay, aromatic varieties like Riesling, Gewürztraminer and Muscat thrive here. Jim Bernau is a determined character. Using a small tractor, he cleared away the blackberry bushes and plum orchards in 1983 to begin planting Pinot Noir. 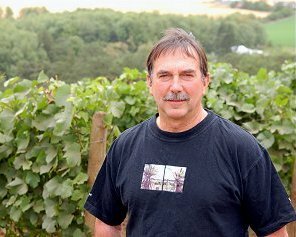 Today he still lives on the vineyard and is the company’s President, but in fact Willamette Valley Vineyards is owned by 4,500 wine enthusiast shareholders. It is basically a consumer-owned winery, and Jim’s contribution has earned him the wine industry’s Outstanding Service Award. Recently, he also received the Founder’s Award for his work on establishing the Oregon Wine Board. Overall I was really impressed by Oregon’s Pinots Noir, which exhibit lovely fruit and a real sense of place. But watch out for Riesling too: there are some terrific examples from the off-dry German style, to lime-streaked dry wines. It is also a fantastic place to visit I must say, with wonderfully contrasting scenery from the coast, through the farming belt, to the snow-capped mountains. Below are some food and lodging recommendations for the Willamette Valley and further afield. Doubles from $185. Dreamy, nine-bedroom B&B in an idyllic setting, with comfortable and chic contemporary bedrooms and fabulous breakfasts . Charming and knowledgeable hosts. Highly recommended. Doubles from $175. Knick-knack-filled B&B in the heart of prime Pinot country, with sociable hosts and well-appointed bedrooms. Note that en-suite rooms start at $225. Doubles from $50. A slice of whimsical theatre in the middle of a pretty wine country town, pay an extra $50 for a King Suite with private bath and enjoy the wild west atmosphere. Undoubtedly the Willamette’s most sophisticated food, served in a charming Victorian house, and spotlighting local, seasonal produce. A casual and buzzing bistro and adjoining wine bar, with healthy portions of high-quality comfort food. Local produce features extensively. An institution in the pretty old town of McMinville, almost everyone opts for the five-course, fixed-priced menu, though a la carte is also available. There’s much to see and do in the laid-back and attractive city of Portland, from Japanese gardens and a Science museum, to some world class shopping. Handily, Oregon has no sales tax, so goods are around 8% cheaper than in neighbouring states. Stay at the quirky but deluxe Vintage Plaza hotel and eat in the wonderful Paley’s Place, for stunning seasonal food sourced from local organic suppliers. Though often shrouded in a cooling fog, the miles of unspoiled coast is perfect beachcombing and surfing territory. The city of Lincoln is only one hour from the Willamette, and offers the recently renovated Surftides, a large hotel that’s been given a boutique-ish makeover, and the Bay House, a fine dining restaurant with serious cuisine and a massive and impressive wine list. One of the great drives, heading east from Portland hugging the dramatic valley and river that creates the border between Oregon and Washington, the journey takes in some spectacular close-up views of Mt Hood. The Dalles is a decent town in which to overnight on the eastern end of the trip, with numerous mid-market hotel options and some pretty good restaurants.